A water main break in Park Slope will close 7th Avenue. 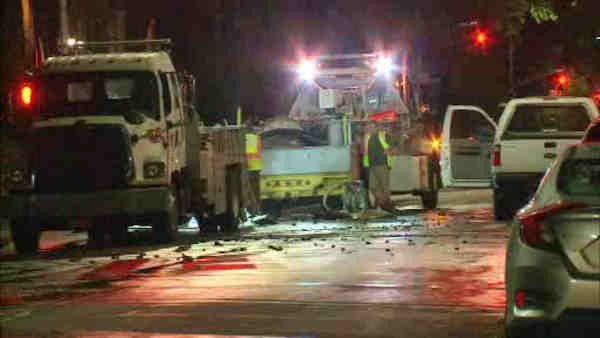 PARK SLOPE, Brooklyn (WABC) -- A water main break closed Seventh Avenue in Brooklyn. The main broke on Seventh Avenue in Park Slope just before 2 a.m. Tuesday. Customers on Seventh Avenue, from St. Johns Place to Berkeley Place, had a temporary disruption to their water service. The water quickly receded but street damage closed Seventh Avenue for the morning. Bus routes D67 and D69 will be rerouted.